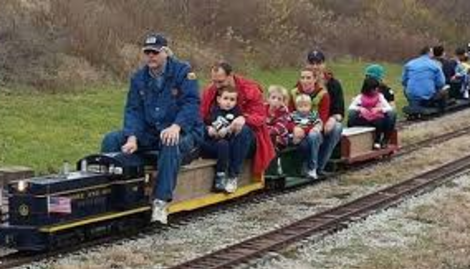 Take the kids for a train ride on their 1/8th scale railroad! Carillon Park Rail & Steam Society, Inc. is an independent, all-volunteer, not for profit, Ohio Corporation dedicated to the preservation and education of the rail and steam heritage of the Miami Valley area of Ohio. Please note that park admission is required separately and does not include Train Fares. All funds from ticket sales and donations are used to buy fuel, maintain the locomotives, cars, track, grounds, maintenance equipment, and train facilities. 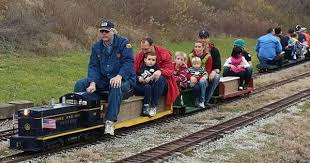 The entire railroad is maintained and operated by the all-volunteer members of the Carillon Park Rail and Steam Society (CPR&SS) club which is a separate entity from the Dayton Historical Park. With your support, through ticket sales and donations, we can continue providing train rides. Price: Rides are $1 per person, per ride, and the funds directly support the Carillon Park Rail & Steam Society. Ride passes are also available. Park admission required. Check our website for full pricing details. Rides are $1 per person, per ride, and the funds directly support the Carillon Park Rail & Steam Society. Ride passes are also available. Park admission required. Check our website for full pricing details.